Car Website Oakville – Budds’ BMW Oakville. If you are living in the Oakville area and you are looking for a car website in Oakville, we recommend that you visit our online car inventory at Budds’ BMW Oakville. A car website should have all the necessary information you need when you are looking for a new vehicle. It should also have a large inventory of vehicles that you can choose from, with filter options so you can choose specific models and makes. Budds’ BMW Oakville has both of these factors locked down with our car website Oakville. When you come to our website, you will be able to look through our large selection of new and used vehicles, and we have something for everybody. Whether you are looking for an SUV, performance car, sedan, coupe, truck, minivan, or motorcycle, Budds’ BMW Oakville has got what you need. 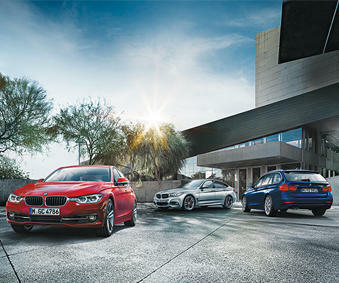 Make a list of your driving needs and select the best BMW vehicle that suits those needs. You will not have to look hard for it with our website. This will also help you avoid buying on impulse. It is important to come to a decision about how much you are willing to spend on a vehicle (or monthly payment). Only filter the options that you will be able to afford with your set budget. Optional features can increase the cost of a new car, they can also increase the cost of a used car. Be sure to include only the features you will use in the vehicle, and stay away from features that you will not use, but will increase the cost of your vehicle. It is especially important when using a car website Oakville to look for a new car, to make sure you do extra research and compare the cost of the car you are looking at with others in the surrounding area. You can also use online pricing guides. Be sure to read customer reviews on the vehicles you are looking at. You will get an insight into some of the pros and cons of the vehicle that people had. If you are living in the Oakville area, and you are looking for a good car website Oakville, look no further that the online inventory at Budds’ BMW Oakville. You will find the car of your dreams on our website, and our customer service representatives will get you behind the wheel of the driving machine you are looking for. Call us or email us today! You can also set up a test drive at your earliest convenience.